BARGE THROUGH BEAUTY! Wales may not be well-known for its canals, yet the stretches of navigable waterway it boasts are arguably the most attractive in the UK. In the north of the country, Llangollen Canal in its relatively short length takes in some spectacular sights, not least one of the most famous aqueducts in the world at Pontcysyllte. In the south, the Monmouthshire and Brecon canal is a stunning passage of waterway while the Montgomery canal in mid-Wales is still being restored. Even so, sections of the canal are great for canoeing and learning to paddle. 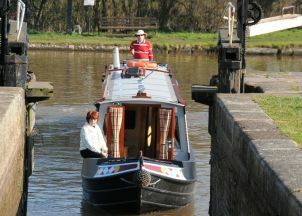 Canal boat cruises, rental and other services are described below.